NYX released some new summer products last month and one of the things I couldn't resist picking up were these Away We Glow Illuminating Powders ($10 each). By the name you would think that they were highlighters but they actually add some really pretty color to your cheeks with a glowy finish. There are six shades in all and I grabbed the two that I thought would compliment my fair to light skin tone the best...Crushed Rose (rosy, peachy tones), and Summer Reflection (peachy champagne tones). The finishes vary from palette to palette with some offering three matte and one shimmer shade, while others offer three or even four shimmery shades. The formula is very soft and blendable making them easy to apply to your cheeks. Crushed Rose has a shimmery champagne highlight shade, a satin peachy pink, a satin medium cool-toned pink, and a satin peach shade, and when blended together, they create the most beautiful peachy pink blush with a bit of shimmer. 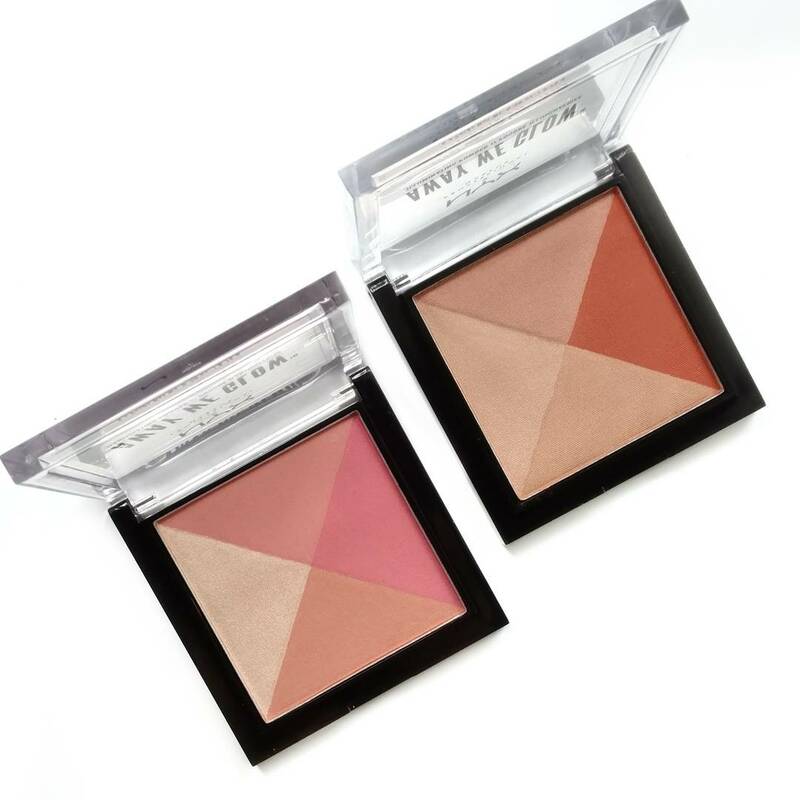 If you don't want a shimmery blush, it's easy enough to dip into the three blush shades by themselves. Then you can add the champagne color as a highlight or just leave it alone...that's what I really like about these! They give you options (and I'm an options kind of a girl!). 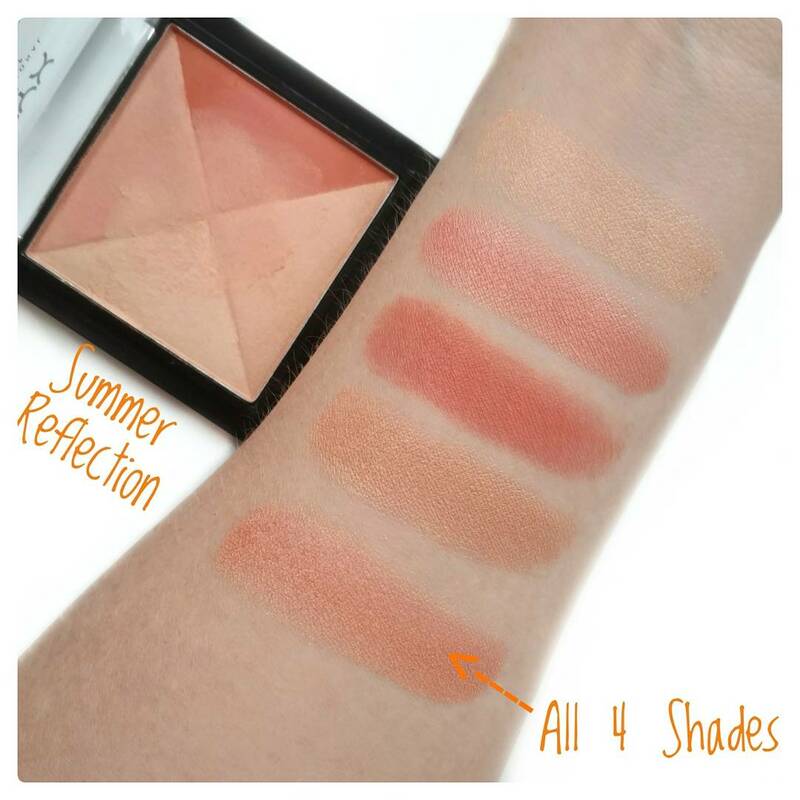 Summer Reflection has three shimmery shades and one matte. 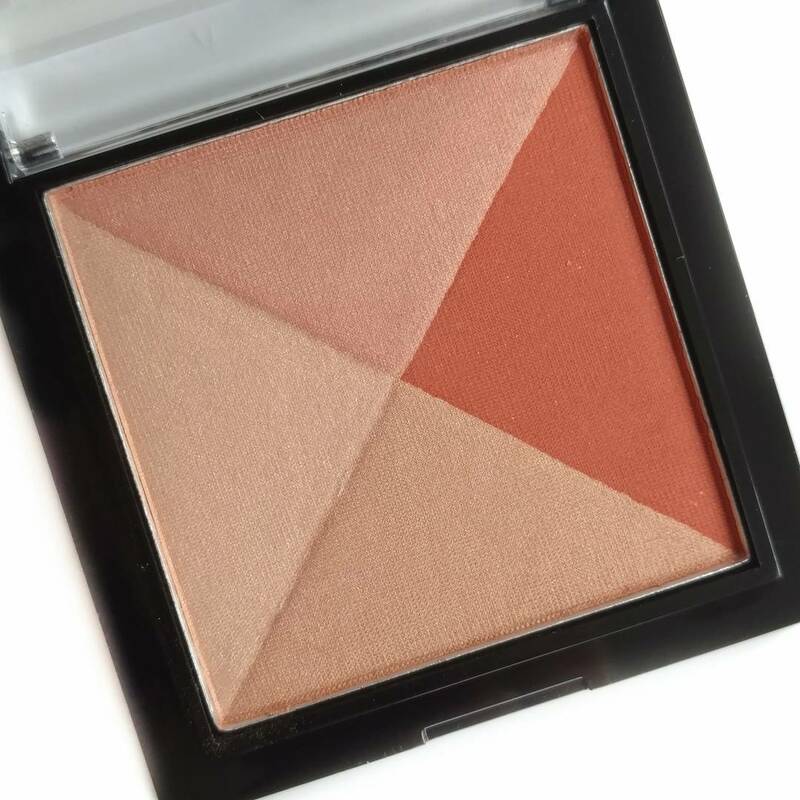 The highlight shade in this one is a golden beige and it goes on more subtly than the highlighter in the Crushed Rose palette, partly because it blends in with my skin tone, and also because it's not as shiny and in-your-face. You also get a shimmery peach, a deeper matte peach, and a shimmery bronze shade. Blended together, you get a beautiful bronzed peach shade with a shimmery finish. 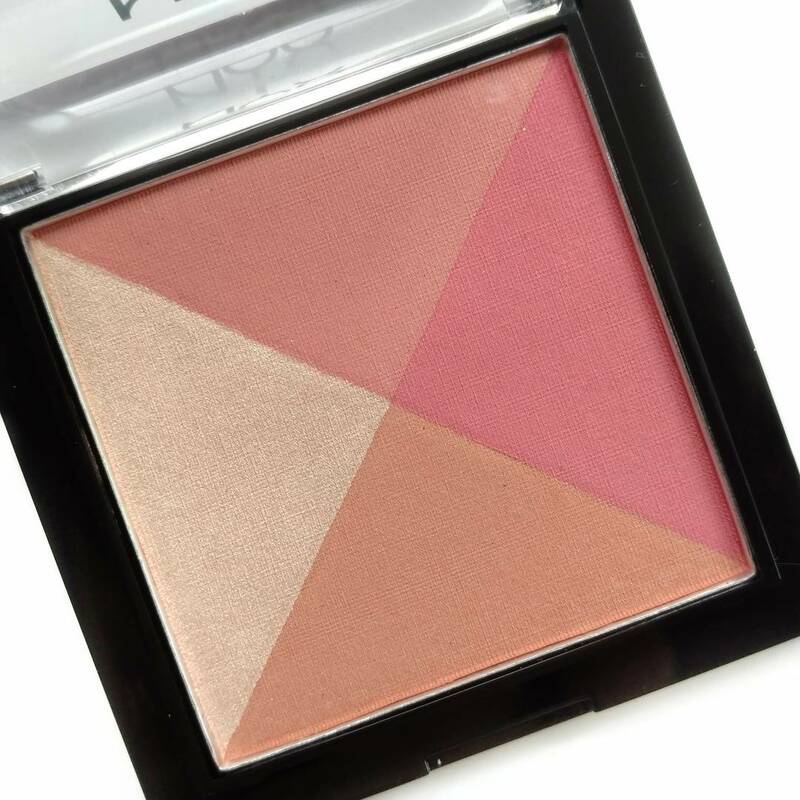 If you're using all four shades, the effect is pretty light and it works best as a blush topper. But again, the nice thing about these is that you can adjust the depth by dipping into the deeper peach matte shade for more color. 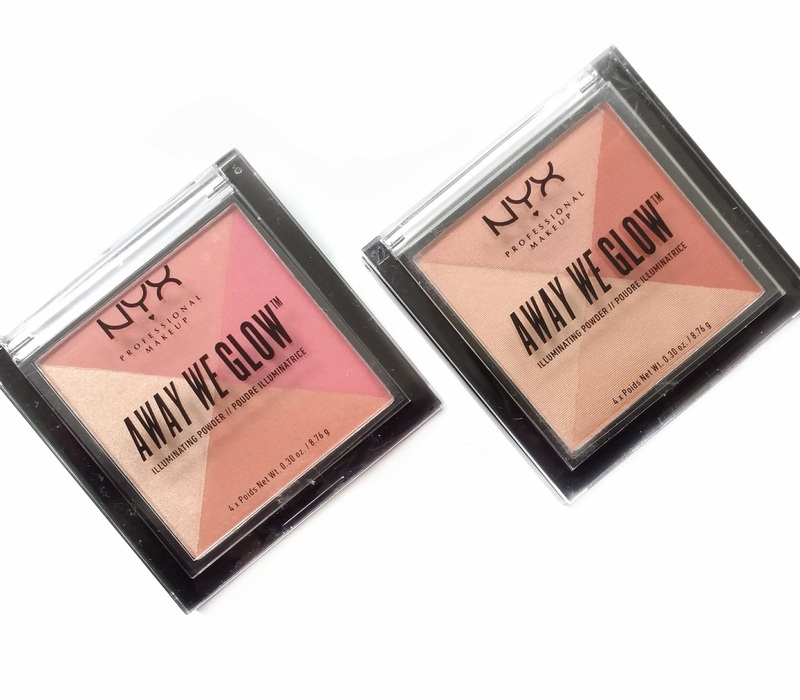 Overall, I'm loving the NYX Away We Glow Illuminating Powders for summer...the color selection is gorgeous and I love being able to adjust the color and finish to my preference on any given day. They work as both blushes and highlighters depending on where you dip your brush, so they're also great for travel. If you wanted to, you could even use these on your eyes! The crushed rose shade looks very appealing. I love having options, too, and all those colors look great. I just ordered Crushed Rose from Ulta since I was placing an order anyway. I can't wait to wear it! Do you prefer the Milani's Color Harmony or the NYX Away We Glow? They seems to have the same concept, more or less.